Posted on December 29, 2015 by A. M.
As I transition out of my Technical Services and into my Research and Instruction rotation in a few days, I wanted to share one of the stories I came across while creating metadata for the Martyrdom and Resistance digitized collection. The Martyrdom and Resistance newsletter is focused on raising awareness of the Holocaust, Holocaust victims, and Holocaust survivors. 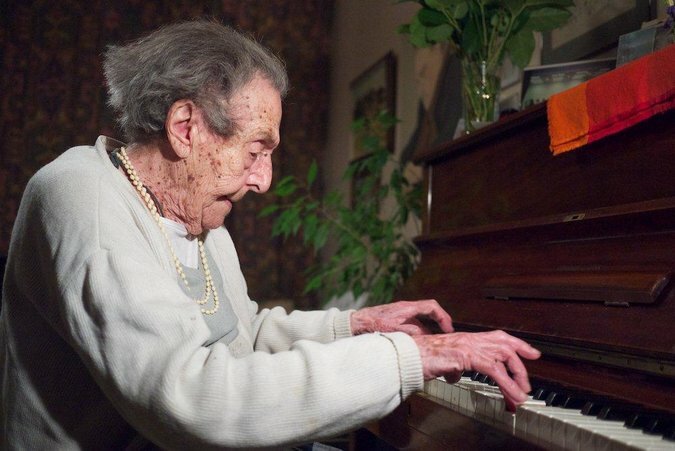 Born in 1903 in Prague, Alice Herz-Sommer was a renown classical pianist. One of five children born to Friedrich and Sofie Herz, she began studying piano at the age of five years. 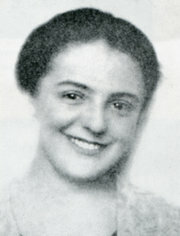 As a Jewish woman in the 1930s and 1940s, Herz-Sommer experienced the slow loss of freedom in occupied Czechoslovakia. After her mother was murdered by the Nazis, Herz-Sommer and her family were imprisoned in a ghetto. Thereafter, Herz-Sommer, her husband, Leopold Sommer, and their son, Raphael, were sent to the Theresienstadt (Terezín) concentration camp. Her husband was later sent to Auschwitz. She never saw him again. Herz-Sommer and her son remained at Theresienstadt for two years. After liberation, Herz-Sommer continued to play. Her son, Raphael, went on to become a celebrated cellist, having inherited his parents’ gift. When she died in 2014 at the age of 110, she was the oldest known Holocaust survivor. Until the end, Herz-Sommer continued to look for and appreciate the “nice things in life” (The Guardian). Love your work, no matter the situation. In routine, there is hope. If you have something spiritual, you don’t need as much food. Complaining does not help; it makes everyone feel bad. I’m currently reading her biography, A Century of Wisdom: Lessons from the Life of Alice Herz-Sommer, the World’s Oldest Living Holocaust Survivor. Check it out! Posted on December 16, 2015 by A. M.